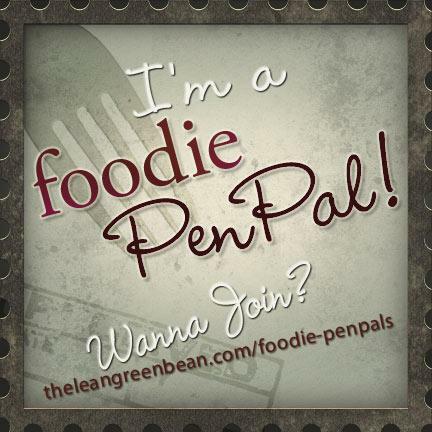 3 Responses to May Foodie Pen Pals! Hopefully you can eat dairy soon so you can try all your treats! Yes, hopefully you get the all clear on dairy so you can enjoy the rest of the goodies soon. Love Foodie Pen Pals!! Haha! I know Annica – she lived next door to me my freshman year of college and used to tuck me into bed when I’d pass out at 10p.m. like a grandma! How funny that she was your foodie pen pal! I love this whole concept – I really need to jump on this bandwagon!